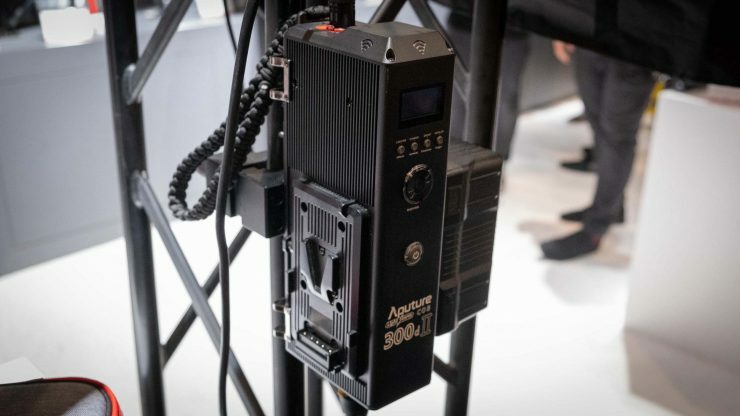 The Aputure COB 300d II is the revised version of the company’s well-regarded high output 300d LED fixture. 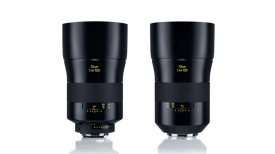 The original was something of a revelation when it first came to market, offering levels of daylight-balanced output comparable to small HMIs. 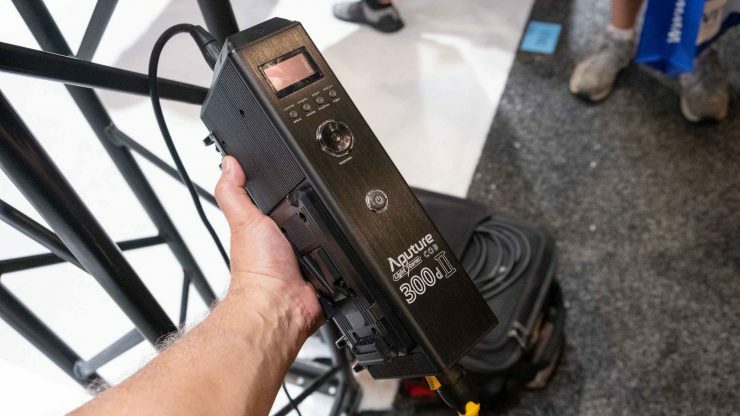 Aputure say the development of the COB 300d II has been directly informed by user feedback – if you’ve posted a picture of your 300d online, the company have seen how you’re using it and have made their R&D decisions accordingly. 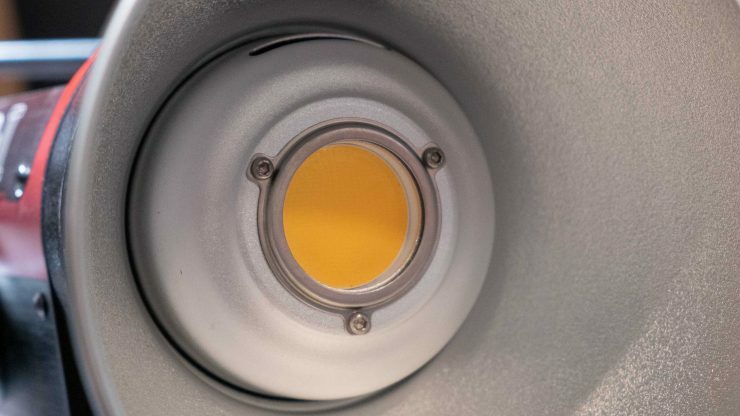 The first change is to brightness, with the Mk II now 20% brighter than before, with around 90,000 lux @1m when fitted with its fresnel attachment. Modifiers all still attach via a Bowens mount. 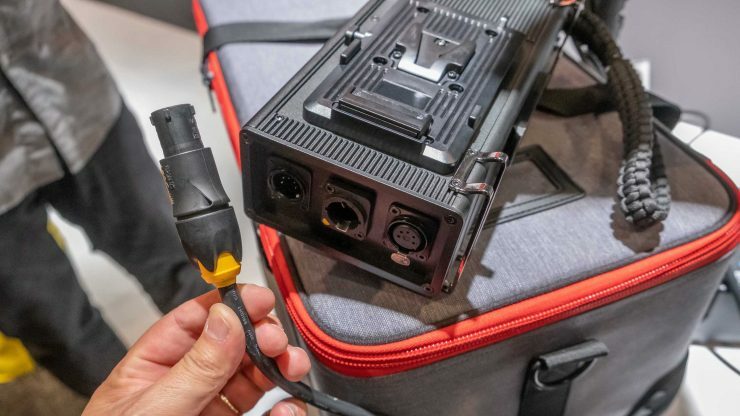 The main criticisms of the first version of the 300d centred around the power supply and ballast. There were a lot of separate cables to plug in with different connectors which could make for something of a tangle when the lamp was set up. 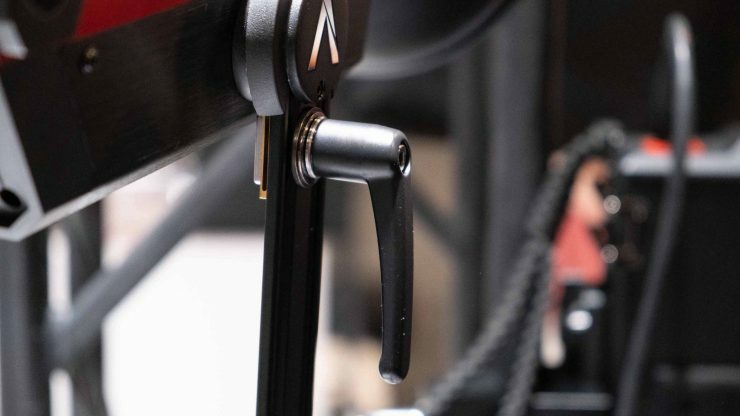 The new controller integrates the light’s ballast and uses more commonly available cabling. Win-win. The COB 300d II addresses these concerns by streamlining the accessories and integrating the ballast into the controller. 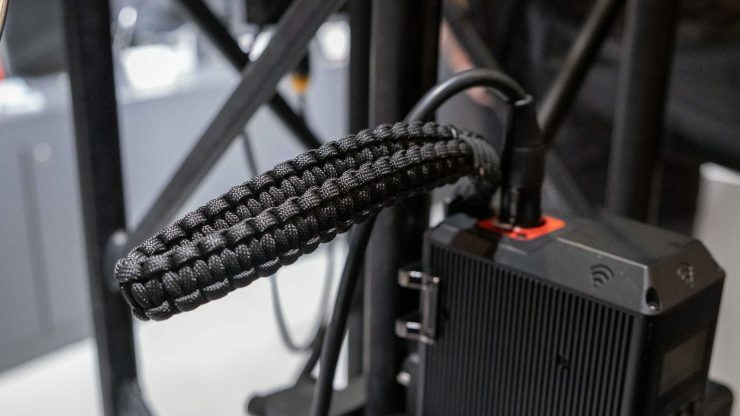 Cooling is now passive and the cables have been revised so you have a 6m run from the power supply to the controller and up to 7.5m from the controller to the fixture. …and standard 5-pin XLR to the fixture. Built-in paracord for hanging the controller pretty much wherever you like. Revised yoke allows a greater freedom of rotation. Handbrake-style yoke control for reassurance your light won’t change position when using larger modifiers. The controller can now offer up to 50% brightness on one battery and can be clipped to an included Superclamp. 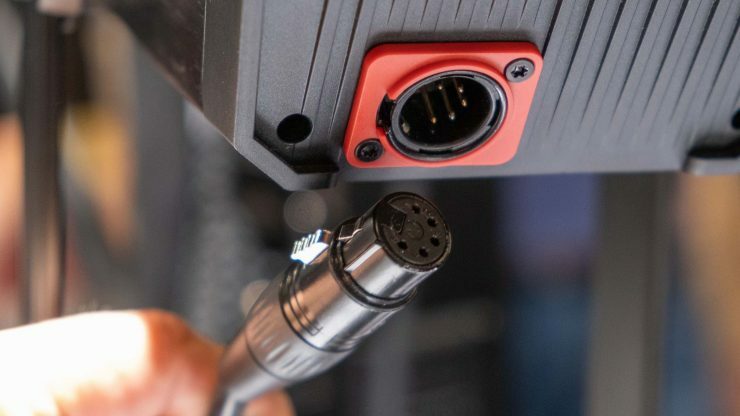 Batteries mount to either side of the new controller box and it’s also now possible to power the light using a single battery – the previous model required two. You’re limited to 50% brightness when using the light like this however, so it’s a bit of a tradeoff. The new box is firmware updateable, has built-in WiFi antennas and you can control the fixture from your phone via an app. Finally the new controller features three different mounting options. 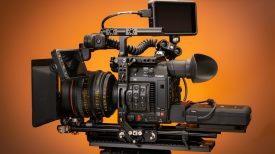 These are informed by the real world feedback Aputure received on how people were using the original 300d. 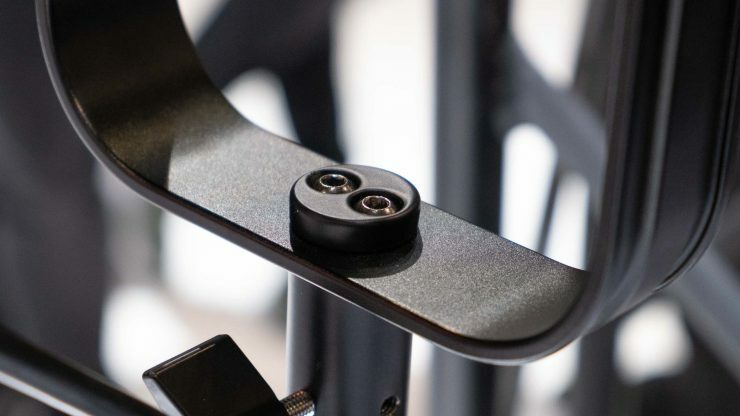 There are now integrated feet if you want to leave it on the floor, a braided paracord to hang the unit from a light stand and a plate that clips into a superclamp that comes as part of the light kit. Go on, take a seat. The light will also now come with a hybrid case that looks soft from the outside but has hard plating on the inside. It’s tough enough to use as an impromptu place to sit and has been designed with one eye on rental houses who want their kit to be as protected as possible. 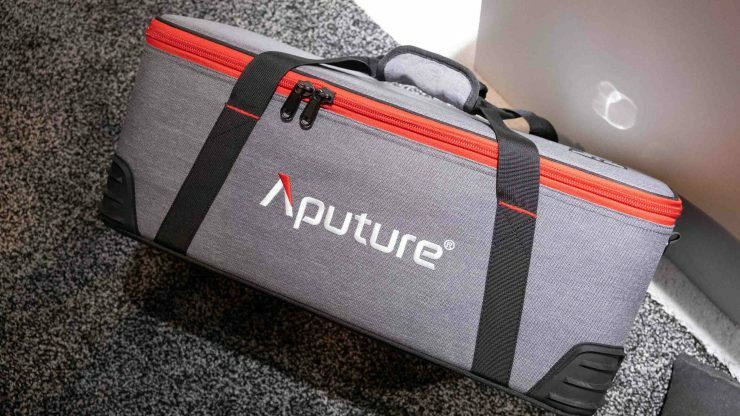 Aputure hope to be shipping the C300d II in the next two months, for around $1,200 US. 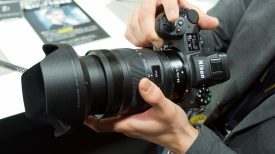 So it’s more expensive than the model it replaces but looks like it will be much more convenient to use. We’re looking forward to checking one out when it’s available.